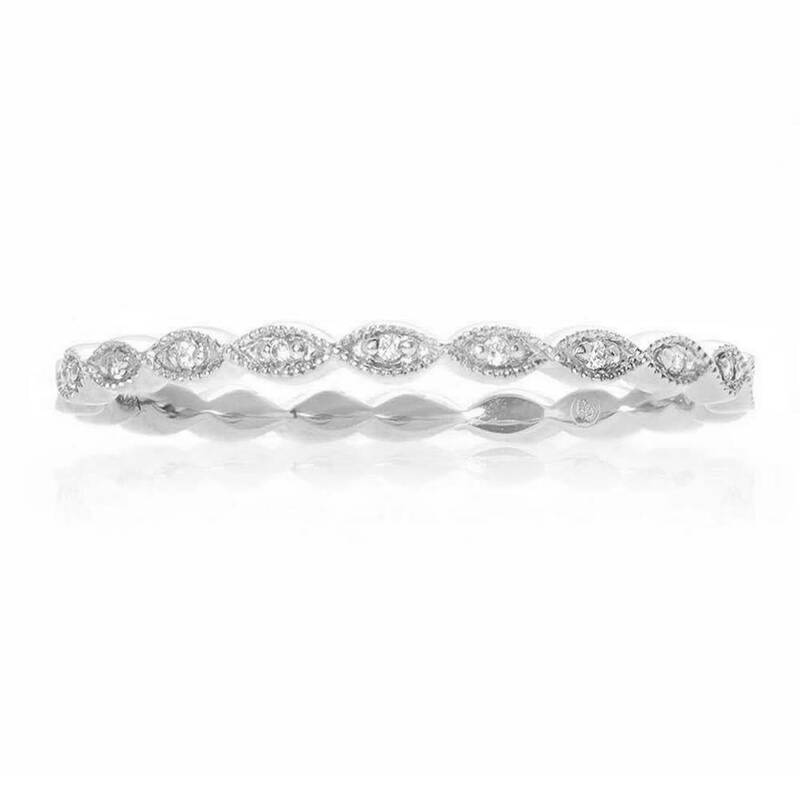 Ladies mini pod diamond stackable band of classic contemporary styling. It is set with a total of 11 round brilliant cut diamonds that are pave set into pod shapes around the band. The pods are framed with miligrain detail and the edges of the band are high polish in finish.